DARK NIGHTMARE is a band that doesn’t like to rush things and releases albums when they feel ready. Four years have passed since their very good sophomore release entitled “Beneath the Veils of Winter” and the band is ready to strike with its third studio album entitled “Tortured Souls”. It is also worth mentioning that their new album will be released by Eat Metal Records which also has released their debut CD. I have followed the band since their first demo and one thing that describes them is their constant improvement and progress of their sound. And when I say progress, I mean that they manage to keep their musical identity and enrich it with other influences that come from metal and Greek folk music. In their third album once again DARK NIGHTMARE have all the traditional heavy metal elements that made us like this band, but this time they give to their keyboards a major role. No, don’t worry they didn’t become symphonic or something like that, but the keyboards are used in order to emphasize the epic – lyrical feeling of the songs. Sometimes they bring to my mind BATHORY. 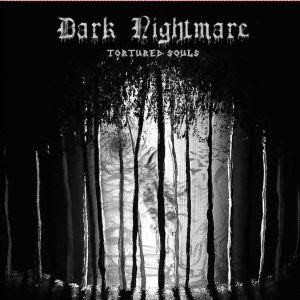 “Tortured Souls” is a DARK NIGHTMARE album which means that you will listen here to traditional metal inspired by such bands like RIOT, ACCEPT and IRON MAIDEN. Finally I want to mention that the album also has a progressive metal touch in the way of IRON MAIDEN’s “Seventh Son of a Seventh Son” album. I think that people who liked DARK NIGHTMARE won’t be disappointed here, but this is an album that you will need to give a couple of spins in your player before it starts growing in you.